We pick up and deliver within a 5 mile radius. For areas beyond, please call us and we'll make arrangements via UPS or FedEx. 2000 feet of Super 8mm film or 2800 feet of 16mm film. We limit the DVD length to preserve quality. • Mark the reels in the order desired. • *We highly recommend keeping your original film. CLOCK – ON – VIDEO® is a way you can get involved with how your movies will turn out and lower your cost dramatically. A DVD running with a clock on it is made from your video. You play the DVD on your TV or home computer and write the editing instructions on a worksheet that we provide to you. You instruct PME to delete specified frames, insert photos or slides, print photos, add titles, menus, chapters, animation, special effects and audio. It may sound a bit daunting but rest assured the process is very simple and we will guide you through the whole process. This is also a great way to get family members involved. 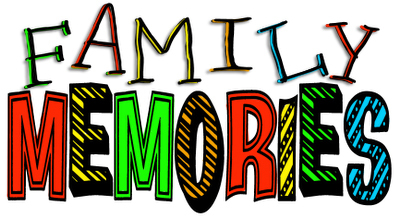 It’s a lot of fun going over the memories…Make a party out of it! If you choose to edit your own video we recommend these alternatives. The file type is normally NTSC DV AVI, which is standard for PC platform. Quick time file format is also available. File size runs about 12.5 gigabytes per hour of video. You can supply your own hard drive or we can provide them to you at an extra cost. Hard drives can be PC or Mac formatted. These are “thumbs drives," solid state memory and do not require a power source. These hard drives are portable and do not require a power source to use. Apply to 2 hr videos. Over 2 hrs incur additional charges.